So quickly we’ve come to the end of the season. Will this series be better of it had more episodes or will the writers fill up the extra episodes with rubbish? The catch isn’t one of the best series out there neither is it the worst but I feel this series has potential to be interesting if it could move beyond what Benjamin did to Alice. For me this was the second best episode, following only the pilot as in between the writers were basically perambulating. This episode revealed a best friend vs boyfriend show down…okay almost. Honestly I don’t blame Val for not trusting Ben as people’s judgment waver when they’re in love. But I’d like to see those two go toe to toe. It seems Dao has fallen in love with Val or has started liking Benjamin as he seems to have forgotten that Reese may have killed his ex or so. Granted he was occupied throughout out this episode. I also enjoyed Alice out smarting Reese. It even made me like Reese. He’s like that little brother that always causes trouble. I even forgot that he kills people. Moving on Alice gets arrested. I was so excited when that happened. I thought “season 2 will definitely be better than season 1 since she’ll be imprisoned ” Until her knight in shining armour came to confess. Either way I’d like to see what happens next. I’ll have to wait till next season then. This series just makes me miss white collar. Good news! Alice didn’t change her mind about what she wants to do about Benjamin in this episode and she also found out her therapist isn’t a real therapist…at last! However I was disappointed at the way she handled the situation especially for someone as smart as she is. Anyway everyone has their weaknesses, it’s just that sometimes it seems Alice character changes behavior a little bit. Moving on I enjoyed this episode’s con. Benjamin and Reese pretended to be partners. But how does Reese con people when he forgets who is supposed to be and gives bad advice? Till the next episode then. I can’t wait to see how the Dao-Ben-Alice collaboration turns out. Another season of Arrow. I can’t believe it has been four seasons already. A lot of things have changed since the first season. I mean Tommy and Laurel are gone. Oliver almost got married! My favourite season will probably season 1 or 3. However Felicity and Oliver gave it a chance, Oliver found out he’s a father not mention the Flash and Arrow crossovers. So what’s not to love about this season! For me, Curtis was really the star of this episode. From coming up with ideas to prevent disasters and providing Oliver the motivation he needed to continue. I hope we’ll be seeing more of his character especially since the team is seriously incomplete. 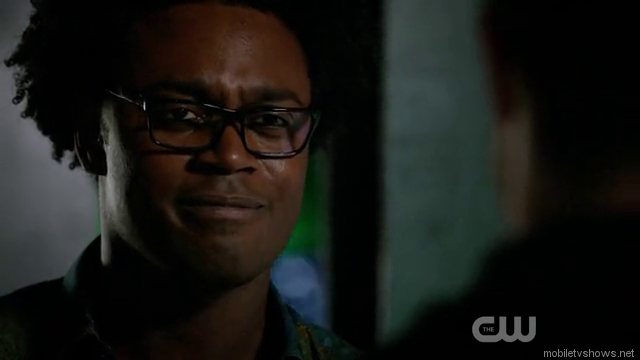 He should be able to provide a bit of humour as Felicity isn’t as funny anymore. Damien’s reason to kill everyone on earth sounds truly unreasonable. How does killing his daughter a better fate than growing up without a mother? Are his parenting skills that terrible? Anyway he’s insane so maybe the writers can try to get away with that. But i did find the angry mob entertaining. How come there are so many people living in star city? As always the day is saved unfortunately without any hint about what to expect next season. We’ll just have to wait. I’m guessing Oliver will be different than he was this season. “Reassortment” was definitely a personal favorite. As usual Samaritan is behind all the bad things happening. She has moved from using weapons to diseases. This episode succeeded in making me paranoid about getting vaccinated. Anyway one good thing was that Harold’s machine had a minor win. Which got me thinking; are the writers going to give the machine a strong win at the end? Because I am doubting she can win any battle against Samaritan as the machine is not whole yet. Shaw is still trapped but this episode’s simulation was exciting compared to the others because it reminded me of prison break. And how is Shaw still somewhat sane with all the mind simulations? I don’t even know which one is actually happening anymore. I will be extremely glad when she’s free. Samaritan as an antagonist feels like a mosquito buzzing around when one just wants to relax which is simply a nuisance. It feels as if this series is struggling and I don’t even feel energy or optimism from the characters. It’s almost as if the writers can’t revive the series at least not fully. Fusco is angry at Harold and John. I don’t blame him. I have never understood why they haven’t told him the truth. At least part of the truth so he doesn’t get himself in trouble or killed. And Harold is disappointed in his machine as usual. I get his a perfectionist but I feel he has no right to complain since he ensured the machine was not perfect and extremely powerful. So the problem is with him, well he’s the only one that understands his logic.